When downspouts or gutters get clogged with leaves, dirt or debris, this causes a number of problems, such as roof leaks and building stains from backed up overflow from the gutter excess run off, and the debris also creates fire hazards when it dries.Rain gutters are made to protect the foundation of the home or property from water damage. If water gets under the foundation or under the property the water can damage the floors and foundation. Most people do not even realize this until real damage becomes visible. Cleaning gutters can be an annoying hassle, even with the right tools and information it is still a very dangerous task. That's why Victorious Panes is here to make the gutter cleaning process as easy as possible for you. All of our gutter cleaning professionals have plenty of experience and are ready to take on any kind of gutter cleaning tasks you might have. 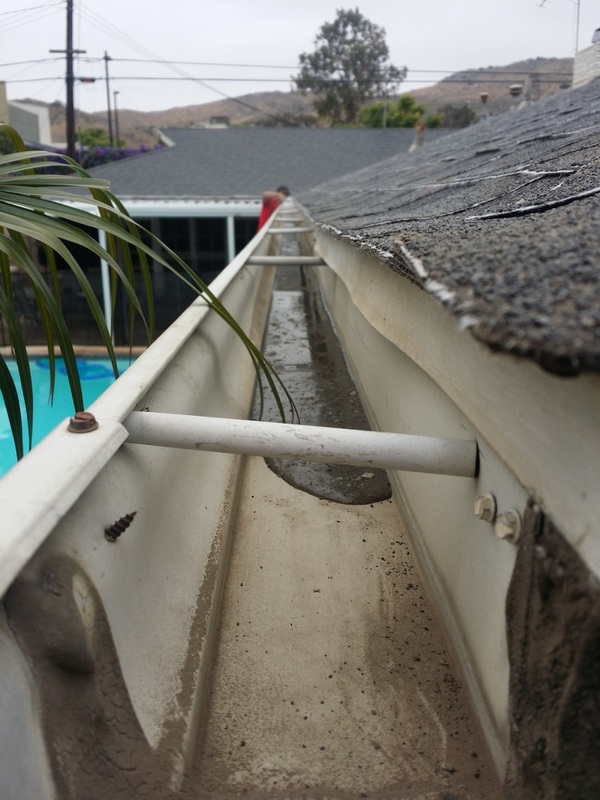 While performing your gutter cleaning service, the entire gutter system is checked and any malfunctions or problems with your gutters performance is gladly reported to you. All of our gutter cleaning professionals do a great job, and the customer doesn't even need to be home. To get your FREE no hassle gutter cleaning quote or schedule an appointment just call us anytime for a quick estimate, it's that easy!